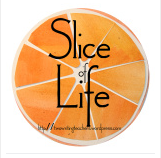 Two Reflective Teachers: Slice of Life: How Many Pieces? So well said, and I believe you're right, Melanie. Since all through the years at my school I wrote, with students input, many units for each, and each was different, depending on the needs of the student, where they appeared to be in their writing. Our school consistent mantra is "It depends", no one answer, just as you answered today. Thanks for the thoughtful post. I agree! Sometimes "It depends" is a frustrating answer, but it is also the best answer for the students. Flexibility is an integral part of writing workshop. It's inherently differentiated, so it depends is really the only answer. The point is to write. Some students revise over multiple drafts rather than with one.